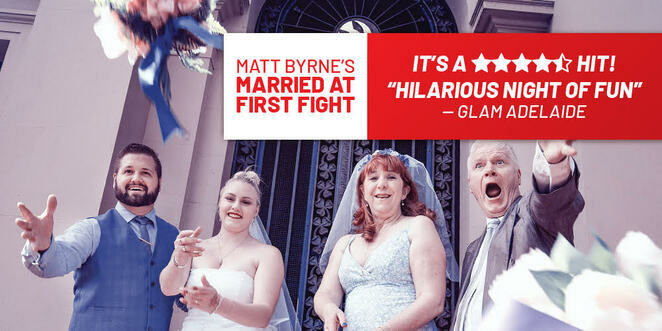 Matt Byrne's Married At First fight takes it up the aisle! "Marriage is supposed to be about lifelong commitment but how can you achieve that my marrying the first time you meet?" Byrne said. "Australia's top-rating reality TV show is a car crash program about people who marry at first sight, with lots of hope and trepidation, but it never ends well. "Marriage should be the foundation of society but half of our marriages end up in divorce. We look at the concept of marrying a stranger and tying the knot with the whole nation watching. "Ultimately marriage is a wonderful institution, but who wants to live in an institution?" Married At First Fight stars Rose Vallen as world-weary Val Salmon who has been married seven times, "well that's all the dwarves covered"; Brad Butvila as professional fiance Barry Bigtime who has been engaged 15 times "just the one ring"; Amber Platten as the gorgeous Kylie Cleavage who wants someone to "love her for her mind"; and Byrne as certified accountant Ron Turn who lost his wife of 35 years "she went out for milk and never came back." "We sing and dance and play everyone you're likely to meet at a wedding, from the jealous bridesmaids, the overblown celebrants, the regretful parents and the drunken Irish priests," he said. 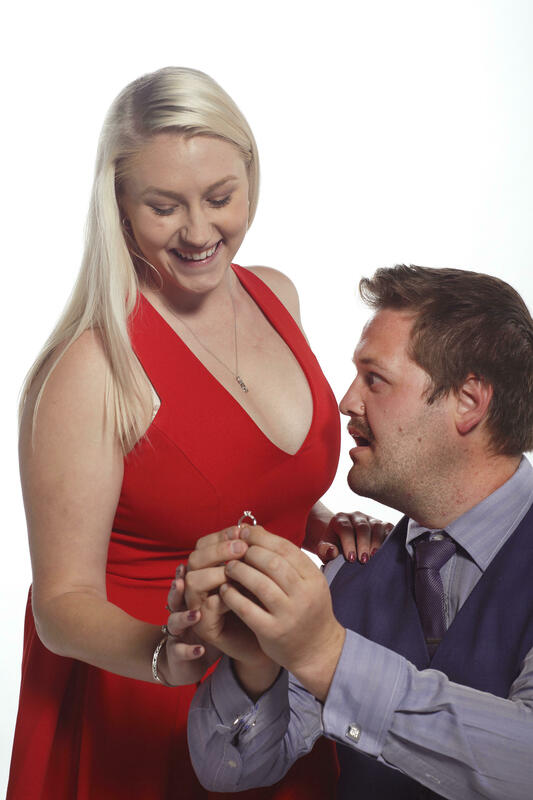 "We give the audience an interactive evening where one surprise couple gets hitched. We hope we get a great reception!" Married At First Fight will be Byrne's fourth MCF show, from Bouncers, Shakers, Barrackers and WAGS. "I love bringing my Fringe shows to Melbourne" Byrne said. "We've had a lot of fun here over the years and with Married At First Sight still dominating the ratings, it's obvious people love seeing the disillusionment of a deranged marriage. "Now you get to see it live, no editing here, just maximum embarrassment!" 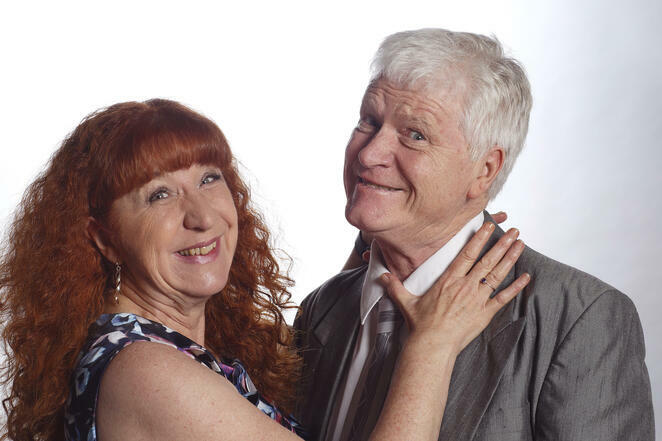 Matt Byrne's Married At First Fight will play the Lithuanian Club at 44 Errol Street, North Melbourne from March 20 to 23 and 26-30 at 8 p.m. All Tix are $28 (plus booking fee). so relying on public transport overall!